Home / Buyer's Guide / What is Corrugated Cardboard? A simple cardboard box contains more than meets the eye. Here’s everything you need to know about corrugated cardboard. Lightweight, durable, and easy to use, corrugated cardboard is a popular packing material for both business and personal needs. And once you’re done packing, the creative uses for corrugated cardboard are endless! What is Corrugated Cardboard, Exactly? Corrugated cardboard is made up of a layered, arched paper created with a process called “fluting.” During manufacturing, a stiff, fluted layer of paper is sandwiched between two outer layers. Thickness can range from a single sheet at 0.25 mm to a heavy duty double wall board at 7.9 mm thick. 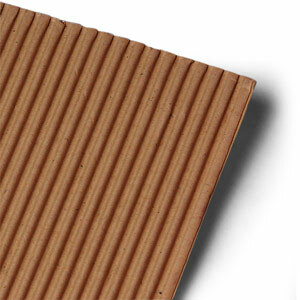 Corrugated cardboard has unique properties that make it ideal for packaging. Its rigidity can support heavy weight and pressure from stacked boxes in shipping, while its layers provide flexibility when wrapping individual items. Books, for example, are often shipped in one wrapped layer of corrugated cardboard. 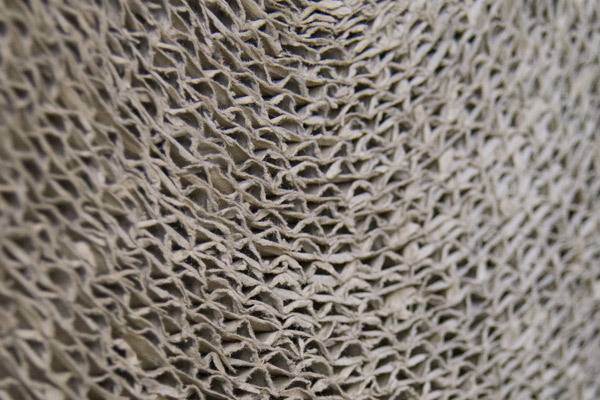 The material’s fluted layers also provide insulation against variations in temperature — which is why your favorite coffee shop uses cardboard wraps for your morning latté. 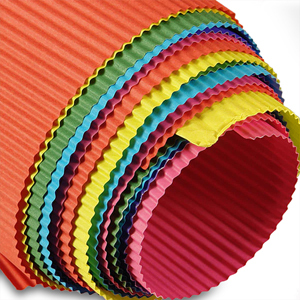 Corrugated paper sheets come in a variety of fun colors and can be used in many crafting and art projects, such as Christmas ornaments, cardboard wall art, or a whimsical accessory for your child’s Halloween costume. Made of pressed paperboard, chipboard sheets are sturdy and lightweight, making them an ideal material for packing as well as for bulletin boards, scrapbooking, or playing boards and pieces for children’s games. The most flexible of the corrugated cardboard options, single face sheets are an affordable material to wrap items for shipping. They can also add an extra cushion between items to prevent scratching and breakage during moving. Also known as “Double Face,” the single wall board is where “fluting” really comes into play. The most common type of corrugated cardboard sheet, single wall board consists of the typical three-layer sheet with fluting between two outer layers of cardboard. The inner flutes come in standard arched shapes, designated by letter (A, B, C, etc.). The higher the flute letter, the steeper the angle of the arch, and the greater the strength of the corrugated cardboard. So, A- and B-flutes are more easily folded, whereas C-flutes and higher are sturdier and thus more commonly used for shipping. Double corrugated cardboard typically uses a B-flute and a C-flute layer sandwiched between three sheets of paper for a whopping strength of 350 pounds. This is what most shipping boxes are made from and what most children turn into forts once the boxes have been unpacked. There’s even a new trend of creating furniture out of cardboard! Try it, then share your photos with us on social media with the hashtag #mypapermart — we’d love to see your furniture designs! 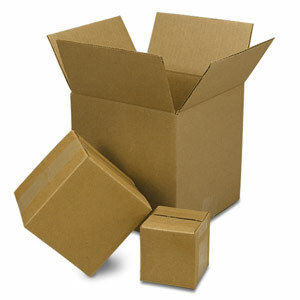 At Paper Mart, we offer a wide variety of corrugated cardboard sheets as well as corrugated boxes for shipping. From small gift boxes to bins, storage boxes, and heavy duty shipping boxes, we have a corrugated box to fit your every shipping or packing need. And for those special gifts and packages, our colored corrugated mailing boxes make the outside of your gift just as much fun as what’s on the inside. Visit our website today to find solutions for all your shipping and packing needs.